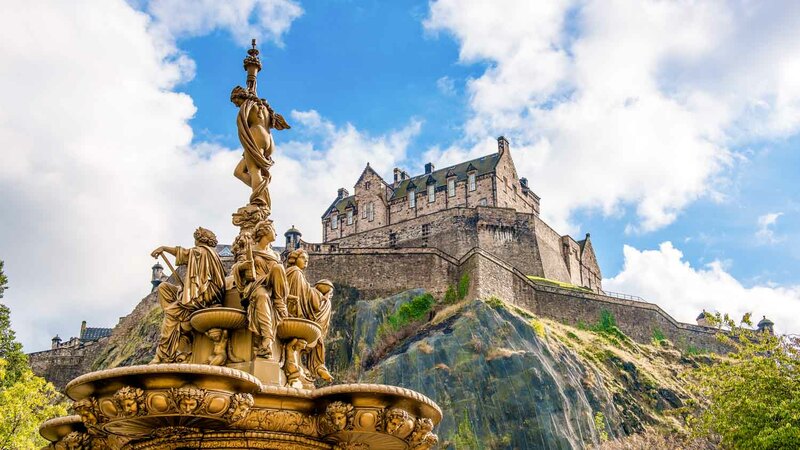 A personal private tour of Edinburgh City Centre that includes Edinburgh Castle and Rosslyn Chapel. If you're looking for picturesque, you'll love Edinburgh. 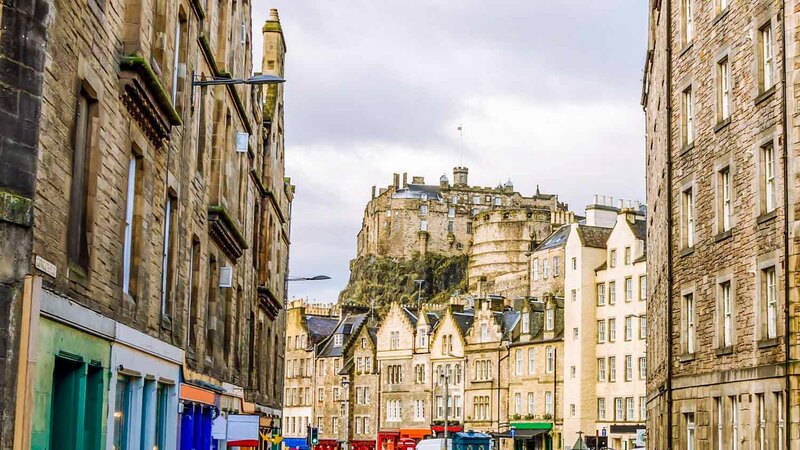 The cityscape of the Scottish capital is a feast for the eyes, topped by the imposing Edinburgh Castle at its highest point. To get the best view of this beautiful city, head to these five points. 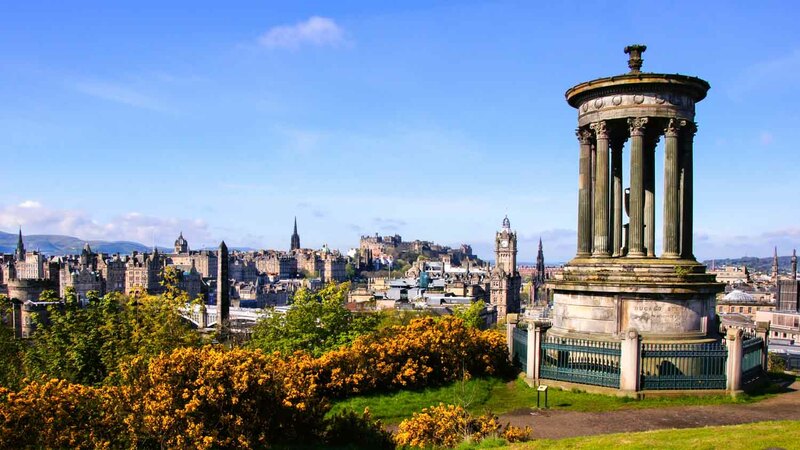 One of the oldest public parks in Scotland, Calton Hill is a local favorite. It's also an easy climb – in just five minutes, you'll be able enjoy the spectacular views. This lovely, perfectly-maintained public garden offers a breathtaking view of the castle from below. Just head to the Ross Fountain to the West and look up, you'll be amazed. 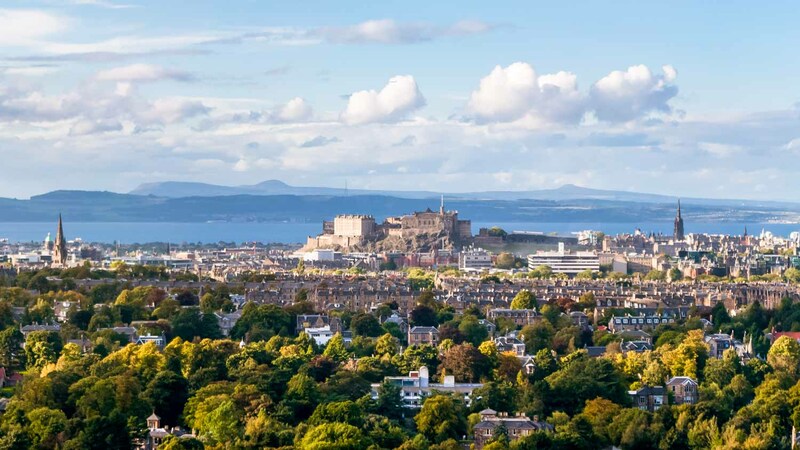 A dormant volcano sitting 251m above sea level, Arthur's Seat offers a magnificent aerial view of the city and castle. Be sure to check out the historic fort there, too. It may not be as famous as Calton Hill or Arthur's Seat, but Blackford Hill has views that are just as gorgeous. It's also home to the Royal Observatory, a favorite of astronomy lovers. This view of the castle inspired George Gibson to paint the Emerald City from Wizard of Oz. Head to the corner of Bread Street and Spittal Street and behold: Emerald City! For a view that you'll remember for the rest of your life, watch the sun set over Edinburgh Castle. 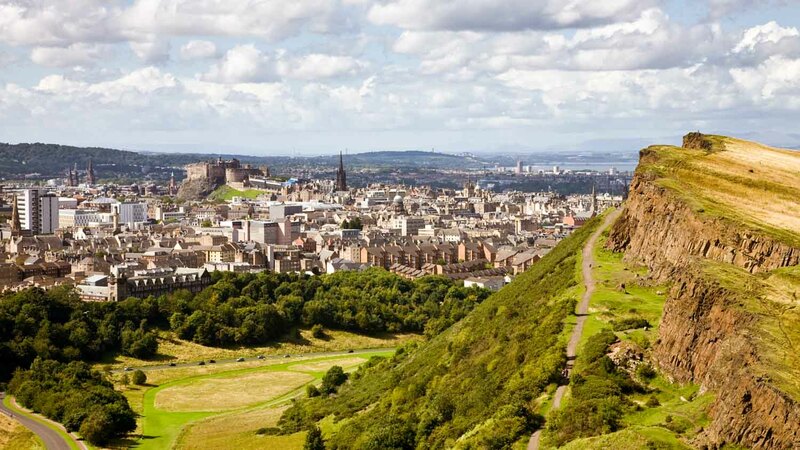 The best spots for this are Arthur's Seat and Calton Hill, both located to the East of the city center. The deep-red sun, the colors in the sky, and the black silhouette of the castle come together in an absolutely magnificent panorama. If you're lucky enough to be in Edinburgh when there are fireworks going off over Edinburgh Castle, for example on Hogmanay or at the end of the Edinburgh Festival, then make sure to head to one of these viewpoints to admire the show and snap some amazing photographs. Princes Street Gardens and Calton Hill are likely to be the most popular spots to watch the fireworks, so if you're looking for a less crowded experience, Blackford Hill and Arthur's Seat are better bets. Opening hours from 9:30AM - 6PM year-round, except for December 25th and 26th. Free to look at from the outside, £17 for adult entry. Only if you want one. Hop-on-hop-off buses stop at the Castle. You can make your own way by taking bus 24 to Waverly Bridge and walking. It never hurts to carry an umbrella when in Scotland! Since you'll be climbing hills, good walking shoes are a must.